I have been on this personal development journey for quite some time. 2006 was the year I REALLY began. I always remember having a sense of urgency when it came to trying to express my passion to seek wisdom. I wanted to find like-minded people and develop a team of folks that would positively influence the world through our findings/teachings while earning an income. Not only give people a sense of hope, but also hand them real ideas and tools they can apply to their lives immediately; real tangible processes that will change their lives right away. 8 years have passed and I have found my way through this website and am slowly developing a team of Influential people dedicated to life-long learning, helping others and building a massive empire! I have a very long way to go, but have a burning desire to reach 1 million people through my work; I have no idea exactly how this will happen or when. I simply believe in my gift of creative communication and leadership that MUST be released into the universe, as it will help people become the best versions of themselves. This is where YOU come in! Not only spread the good word of our mission to positively affect the lives of 1 million people and make an explosive income, but do it through YOUR music! Yes, the music that is lying dormant in your soul yearns to be released at ONCE; we may as well do it together! We shall join forces (even if we’re not 100% sure how or scared to do it)! 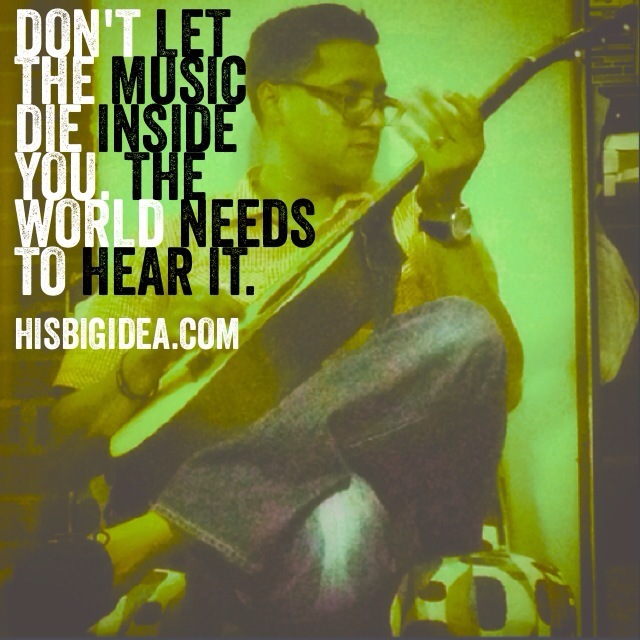 The music within you NEEDS to come out;The world is waiting for its arrival! Let’s CHANGE the world together! Let’s make a DIFFERENCE! TODAY! Start by tapping into your inner being and find what it is you have got to do before you leave this precious earth! Then take ONE step TODAY towards achieving that goal! Let’s lock-arms together! GO spread the GOOD word of this MISSION and watch how we will change the lives of 1 MILLION people together! Let me know what you think about this MISSION in the comment section! So if you are still interested in helping out, CLICK HERE to join my INNER CIRCLE and start living the life of your DREAMS! amazing!!! I WILL lock arms with you!